Here’s a recreation/reinterpretation of the cov­er of Wow Comics #12, fea­tur­ing Mary Mar­vel. You can com­pare it with the orig­i­nal here. Mary debuted in Cap­tain Mar­vel Adven­tures #18, where Bil­ly Bat­son dis­cov­ered to his sur­prise that he had a twin sis­ter, from whom he’d been sep­a­rat­ed at birth. It turned out that the mag­ic word that turned Bil­ly into Cap­tain Mar­vel also worked to turn Mary Batson/Bromfield into the super­pow­ered Mary Mar­vel. Mary’s “visu­al father” was artist Marc Swayze. I was hon­ored to be asked to do an FCA cov­er fea­tur­ing Mary, as a trib­ute to Marc Swayze for what would’ve been his 100th birth­day. It was post­ed here a while back. Reg­u­lar vis­i­tors to this site have heard me say before that when doing these recre­ations, I like to have some kind of fresh take or approach, so that I’m not just repeat­ing exact­ly what was done before. So imag­ine this, if you can: some alter­nate world, where Faw­cett didn’t cease pub­lish­ing comics. Instead, they kept on pro­duc­ing new four-col­or adven­tures for Cap­tain Mar­vel and the Mar­vel Fam­i­ly. Maybe at some point in the late ‘50s or ear­ly ‘60s, Faw­cett licensed Mary to an ani­ma­tion stu­dio for a series, and Wow Comics was relaunched in sup­port. It was kind of what was play­ing in the back of my mind when I did this, at any rate. 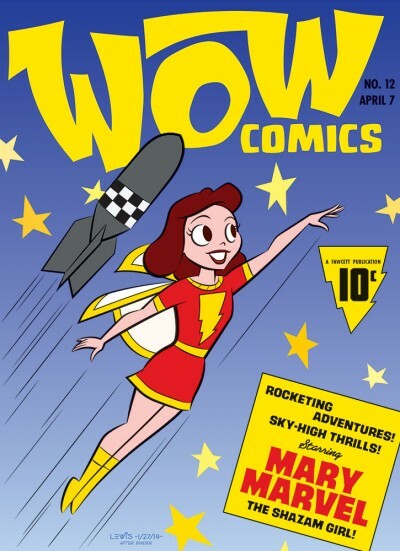 This entry was posted in Animation, Comics and tagged Adobe Illustrator, Comic Cover Recreation/Reinterpretation, Fawcett Publications, Golden Age, Mary Marvel, retro, Silver Age. Bookmark the permalink. 5 Responses to She’s a Wow! Ter­rif­ic work, Mark (as usu­al). Makes me want to see such an ani­mat­ed series, and read a revived WOW COMICS, and… Well, we can dream, can’t we? One of these times, I’d kind of like to see your take on a meet­ing of Mary with her oppo­site num­ber, the black-cos­tumed Mary Mar­vel. Or per­haps a Mary vs. Geor­gia Sivana cov­er. Or a team-up with Bul­let­girl. I know that you don’t like to repeat your themes, but it might be wor­thy of con­sid­er­a­tion. I can nev­er get enough of see­ing Mary Mar­vel. Thanks, John! I’m glad you like this take on Mary. It’s fun­ny, because I hadn’t real­ly drawn Mary a whole lot until more recent­ly. But the more I do it, the more fun I find she is to draw. I think maybe it’s some­thing about the bright, upbeat, opti­mistic qual­i­ty of the char­ac­ter. It’s safe to say this prob­a­bly won’t be the last time she shows up on my site. By all means, Mark, do more Mary Mar­vel ! 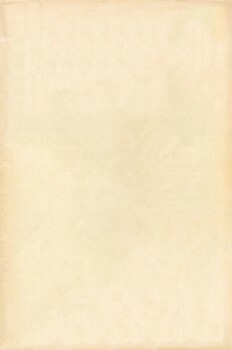 Very nice take on a clas­sic cov­er! Thanks, Steve! Glad you like it. I’m sure there will be more Mary here again at some point.